English actress and model, Cressida Bonas was in a two-year relationship with Prince Harry who is the fifth-in-line to the throne. Many believed she would be the one that Prince Harry was going to ask to marry. She was introduced to Prince Harry by Princess Eugenie in May 2012 and accompanied the royal on her first official engagement in March 2014. Although they broke up later that year it appears that they have remained good friends as they have since been spotted together since parting ways. Many attribute the reason for their break up to her inability to handle the attention of the paparazzi. 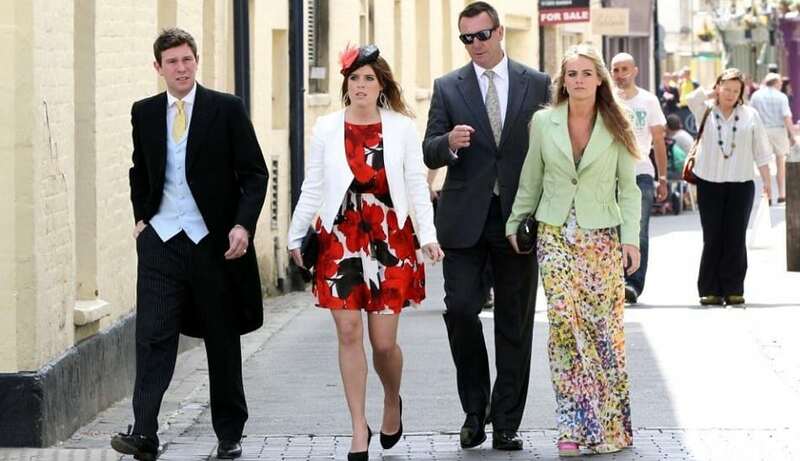 In this photo, Cressida Bonas joins Princess Eugenie and her boyfriend Jack Brooksbank accompanied by a bodyguard, for the wedding of Rupert Finch and Lady Natasha Rufus Isaacs. Princess Eugenie and Prince Harry are cousins.